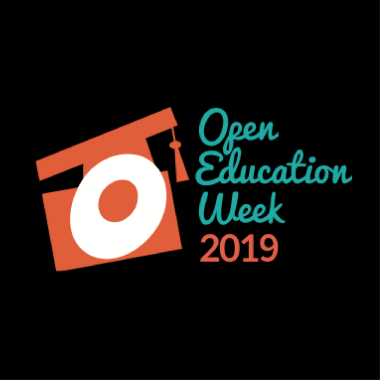 How you can Celebrate Open Education Week 2019! Every year the first week of March means it is time to celebrate Open Education Week! Open educational resources (OER) are any freely available teaching, learning or research material. The possibilities for OERs are endless and they can include videos, podcasts, presentations and even textbooks. OERs provide the flexibility to share, collaborate and draw on course materials from around the world, while reducing the cost of higher education by challenging expensive textbook prices. OERs also provide a practical and effective way to facilitate lifelong learning, an essential skill in our changing and complex world. We know this is a busy time for everyone on our campus, so we thought we would share some ways that you can get the scoop on Open Education around your hectic schedule. Did you know we have a guide for finding and learning about OER? and publishing program for OER? Check out these pages without worrying about committing time to attending an event. www.openeducationweek.org has events from around the world on any topic that interests you. If you are unsure where to start, we might suggest this webinar on adopting open practices, this webinar on making sense of open education, or the Global Open Education Web Conference. Attending a lecture isn't for everyone, for those what prefer active involvement, why not join a Wikipedia Edit-a-thon? March 4, from 1-4pm PST the Institute for Critical Indigenous Studies, with support from UBC Library and the Centre for Teaching and Learning Technology, and the First Nations House of Learning, will be hosting an Indigenous Literature Wikipedia Edit-a-thon. You can also join online via this link. There are opportunities to learn about Open Education all year. For example, join us on March 22 for a workshop on finding OER for teaching. Follow this link for more details! The University of Alberta (U of A) Augustana and Camrose community came together on Wednesday, February 13 to dedicate their new nordic ski library, named in honour of Garry (Gibber) and Dorothy Gibson. The dedication was celebrated as a ‘Tea and Ski’, where in true Gibson fashion stories and beverages warmed up the crowd while a hearty handful of students, staff, and faculty took to the trails post-ceremony for a brisk -17 degree celsius loop in honour of the day. This lending program is the first of its kind in an academic library in North America, and is a multi-department collaboration between Campus Recreation, Student Life, and the Library. The Dr. Garry & Dorothy Gibson Nordic Ski Library allows Augustana students, staff, and faculty the opportunity to borrow classic cross country skis, boots, and poles in the same manner as they would check out a library book. The initial concept of a winter gear lending library began a few years ago. The dean of Augustana campus, Allen Berger sought an opportunity to encourage the community to take part in a more active winter lifestyle, which married well with Augustana’s rich nordic ski history and prime location on the edge of 16 km of groomed ski trails. Funds were raised to purchase for 20 full sets of equipment, plus an additional 10 sets of poles and 10 pairs of boots. The capital was made possible through a grant provided by the U of A Dean of Students office, multiple donors through Augustana’s November 2018 ‘Giving Tuesday’ event, and the generous matching donation from U of A Protective Services Sergeant Tony Thomsen. In his dedication speech to the Gibsons, Berger spoke of the passion and dedication to recreation and lifelong fitness Gibber and Dorothy have given the Augustana and Camrose community for over 40 years. In 1973, Gibber helped develop Augustana’s biathlon and cross country programs, and in 1978 he developed the outdoor education program based on his research to complete his PhD in physical education. Dorothy worked hard to manage and support athletes and teams every step of the way behind the scenes in every capacity one could imagine. 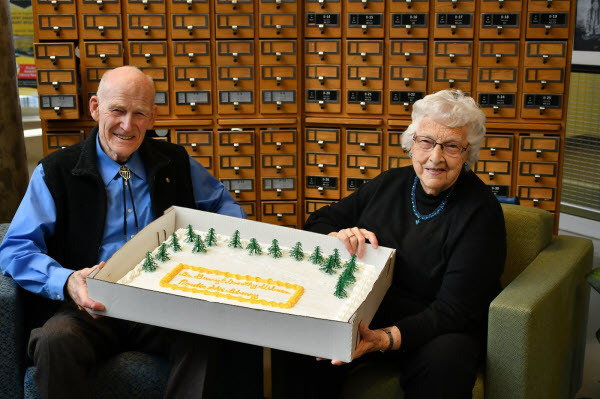 This dedicated duo’s hard work and generosity continues to extend to the students of Augustana through student awards, recreation and athletics, chaplaincy, and outdoor education just to name a few. As the program is in its initial season, this lending library is currently only available to Augustana students, staff, and faculty. All participants must attend a short, one-time only Orientation session with Campus Recreation staff to size their gear and learn the basics of trail safety and etiquette. 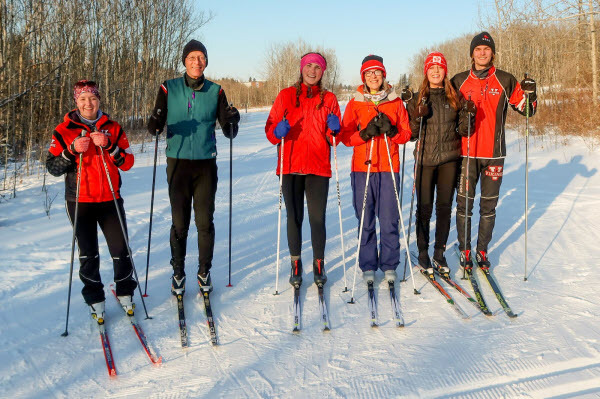 Campus Recreation and the Vikings Nordic Ski Team also provide opportunities to learn or brush-up on their cross country skills through their weekly ‘Learn to Ski’ programs and their informal ski meetups. 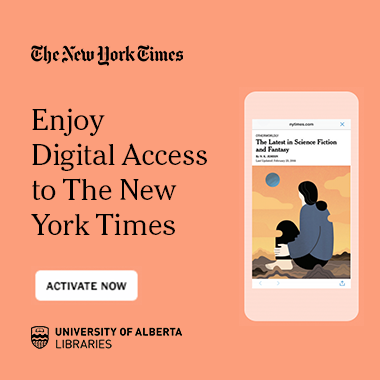 The University of Alberta Libraries are pleased to provide digital access to the New York Times! But what does this mean? The libraries already provide access to the NY Times in print and to historical content online. Register for nytimes.com using your UofA email address. Register for nytimesineducation.com using your UofA email address. After registration you can enjoy access to NYTimes.com from any network or location. 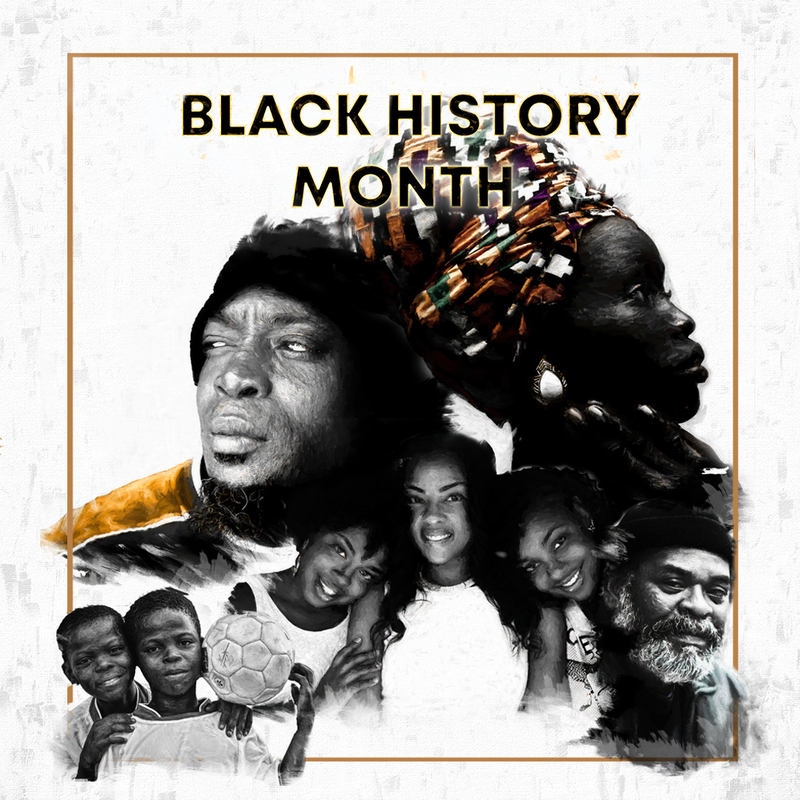 The University of Alberta Libraries are celebrating Black History Month all through February with displays at several libraries! Stop by one of the libraries to learn some Black history, or pick up a great book. Scott Library is focusing on medical milestones for Black History Month. The display will also feature profiles of pioneers in medicine and the healthcare field. La Bibliothèque Saint-Jean veux mettre en vedette des documents sur des événements historiques qui se sont déroulés dans les Amériques, et sur certaines îles de la mer des Caraïbes. Toutes ces ressources seront en français. // Bibliothèque Saint-Jean will be focusing its lens on historical events that have taken place in the Americas, and in certain nearby Islands of the Carribean Sea. All of the resources in the display will be in French. Rutherford Library is featuring books on Black History in Canada and as well as leisure reading books by Black authors. Coutts Library is featuring Black History in Canada with highlights on athletes, academics and activists. Cameron Library is showcasing a selection of Black scientists, inventors and engineers from a variety of fields of study, and time periods. Stop by the display cases near the entrance to Cameron for a look! 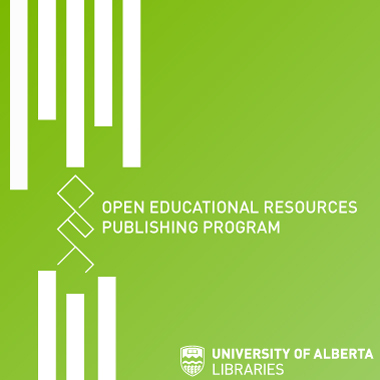 Alongside the University of Alberta’s mission of “For the Public Good” The University of Alberta Libraries is introducing an Open Educational Resources (OER) publishing program to increase access to and use of free and accessible textbooks and other learning resources. OER are teaching and learning materials that are accessible without cost and allow for free use, reuse and redistribution. OER often have a Creative Commons license that states specifically how the material may be used, reused, adapted, and shared. If you are interested in creating, adapting or using open textbooks or other OER in a course, the Libraries’ can provide you with the tools, expertise, and free hosting to get you started. For more information, see www.library.ualberta.ca/publishing or contact library.publishing@ualberta.ca to see if our service is the right match for your learning materials. You can also check out the OER Awards, to see if you are eligible to apply for additional support for your project.